Pro-Russian militants launched 30 shooting attacks. Two Ukrainian servicemen have been wounded in 30 shooting attacks launched by pro-Russian militants since the start of the day, the antiterrorist operation (ATO) said in its evening update on 28 March. In the Donetsk sector, the militants fired with 120-mm mortars on the ATO positions near Avdiyivka, Troyitsle and Luhanske and with 88-mm mortars on Avdiyivka, Opytne and Troyitske. They targeted ATO strongpoints near Luhanske with infantry fighting vehicles. They used grenade launchers and heavy machine guns near Pisky, Luhanske and Troyitske. In the Mariupol sector, they used 82-mm mortars near Taramchuk. Marines' positions near Shyrokyne came under fire from the ZU-23-2 air defence system. Strongpoints near Vodyane were targeted with grenade launchers and machine guns, and near Pavlopil with grenade launchers. Militant snipers were active near Hnutove and Vodyane. 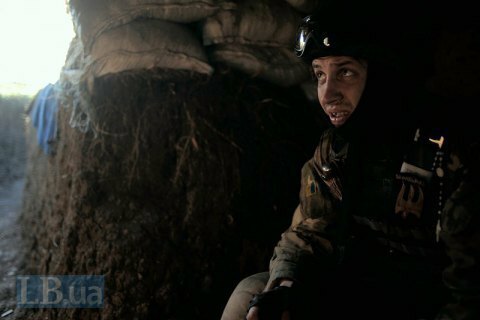 In the Luhansk sector, the situation was difficult near Novozvanivka. Militants used 82-mm mortars and grenade launchers in the area. Two Ukrainian servicemen were killed, four wounded and one injured in Donbas on 27 March.